Flower Ring. 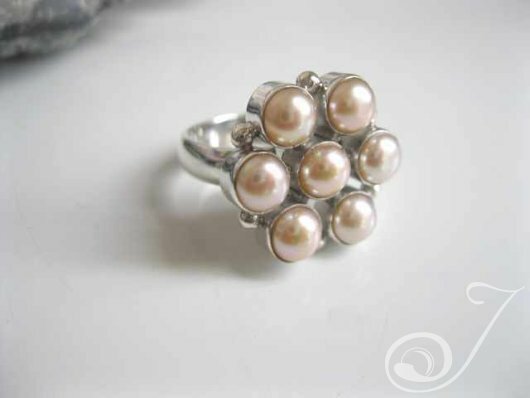 Natural Pink Pearls and Gorgeous Sterling Silver. A Hand Made Design. Wear on forefinger – Size 7.